The cast of Black Panther have taken to social media to share messages of praise and thanks after a successful night at the SAG Awards in Los Angeles. The comic book movie secured the biggest prize of the night at the Screen Actors Guild Awards – winning the gong for best ensemble cast in a motion picture. 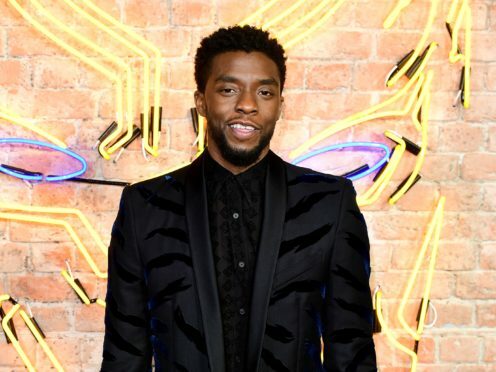 Chadwick Boseman, who plays the lead role of T’Challa, took to social media to share an image of himself and his co-stars holding their awards. Referring to the impassioned acceptance speech he had made earlier, he praised the cast of Black Panther for being “young, gifted and black”, before adding: “There is a place for us. There is a screen for us. Letitia Wright, who has been treading the boards in The Convert at the Young Vic Theatre, tweeted her congratulations to her “Black Panther family”. At a Netflix-organised after-party, Bohemian Rhapsody star Rami Malek celebrated with Call Me By Your Name actor Timothee Chalamet and the Black Panther cast. Malek, who bagged the award for outstanding performance by a male actor in a leading role, joined the star-studded bash at the Sunset Tower Hotel in Los Angeles. He arrived with his girlfriend, Lucy Boynton, who starred opposite him as Freddie Mercury’s muse and girlfriend in the Queen biopic. The band’s guitarist, Brian May, congratulated Malek, labelling his evening an “epic win”. Austin Powers comedian Mike Myers also attended the bash and was seen corralling the guests for a group photo. Mandy Moore, who stars in comedy-drama This Is Us, also tweeted after the ceremony. She said being recognised at the SAG Awards was the “cherry on the already delicious sundae”. Moore plays Rebecca Pearson in the TV programme, which was awarded the gong for outstanding performance by an ensemble in a drama series. She wrote on Instagram: “HOLY CRAP. WE WON! Thank you to all of the @sagaftra members and friends who decided to bestow us with this tremendous honor. In the television categories, Amazon Prime series The Marvellous Mrs Maisel swept the comedy prizes. Rachel Brosnahan was responsible for securing one of its three awards, for outstanding performance by a female actor in a comedy series. I love these humans with my whole heart (@alexborstein we missed you!). Thank you @sagawards. Julia Garner, the star of Netflix crime drama Ozark, gushed after attending her first SAG Awards, saying she was “honoured to have been nominated”.